It seems that I haven't done a movie review blogpost in a longgg time.I totally forgot to do so!I watch movies every month..every week if I could!haha..So in this particular post and the one that will follow it in about 2 more days..I'll be talking about movies that I've watched in the past..3 months?I'll talk about two movies first and then another two in another blogpost. I love Chris Pratt.Other than his filmography,I love his relationship with his wife,Anna Faris.I've watched them appear on an episode of Top Chef and they were like a genuine happily married couple. Okay,now back to the movie.I thought it was okay.It wasn't awesome but it was a very enjoyable watch.Obviously Groot was hilarious!A tree that can only say..his own name.Did you know that Vin Diesel was the voice behind Groot?Who would've thought? Basically the movie is about Chris Pratt's character named Peter Quill who was abducted from Earth by the Ravagers,who are...space pirates.And of course he grew up to become one.He ended up stealing an orb which has many people wanting it..particularly the scary looking Ronan(played by Lee Pace!Razin and I love him! ).He asked Gamora to steal it back for him.Btw,Gamora has a half-sister named Nebula..which is played by Karen Gillan whom I love.She's an upcoming actress and I've seen her in Oculus and also the series..Selfie! During a fight between Quill,Gamora,Rocket(a GI Racoon)--which by the way was voiced by Bradley Cooper! !--and Groot,they were captured by Nova Corps and imprisoned in Kyln.In there they met Drax,whose family was killed by Ronan.He wanted to kill Gamora but then she revealed that she has betrayed Ronan because she doesn't want him to use the orb for his evil purposes. They of course managed to break themselves free from Kyln and went to see Gamora's contact,the collector Taneleer Tivan.If you guys remembered,we saw him right at the middle of the credits for Thor:The Dark World.Tivan opens the orb and inside was the Infinity Stone..it has such great powers that it destroys everything around it except the person who holds it..if they're powerful enough! I think I've said a lot about the plot already..haha The movie had a good pace,funny lines,funny characters..and such a great soundtrack.Very old school and brings back a lot of old memories from my childhood.The end of the movie..it was revealed that Quill isn't 100% human..ahaaaa.The adventure continues with the question..who is his father?I guess Yondu knows?hurm..We'll have to wait for the sequel! The fiance totally blindsided me with this by buying the movie tickets first and telling me let's go and watch it.Because he have asked me to watch it with him before,but I refused because I couldn't see why I needed to watch it.I guess I totally forgot about the fact that I've watched Rise Of The Planet Apes with him 3 years before(it was a long time ago!..Read my review HERE). 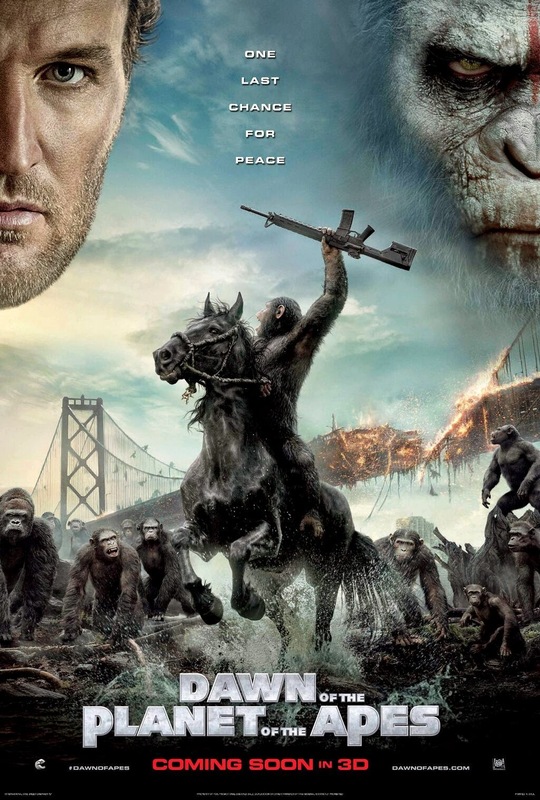 I expected that the movie would be boring..you know because it's a movie about apes..not my favourite kind of animal!But I was pleasantly surprised how gripping,heart pounding and a great movie it was.There are moments in the movie that made me panicked! The movie starts with the aftermath of the ALZ-113 virus..the collapse of the human civilization which lead to martial law and the collapse of the economy around the entire world.It has been 10 years and Caesar is leading a community of apes in a forest.One day a human somehow walked into the forest..and met Caesar's son Blue Eyes and Ash.The human panicked and shot Ash.Caesar appeared and ask the group of humans to leave. The group of humans went to San Francisco..and there's a huge number of them whom somehow became immune to the virus.Caesar brings his group to see the humans and told them to not come to the forest and cross their path and vice versa. Malcolm,one of the humans from the forest just now,convinced his leader Dreyfus to let him go to the forest for three days to convince Caesar to let them repair the dam that can provide electricity for the human.He brought his son,wife and two other friends.Caesar agrees to let them work on the dam as long as they surrender their guns.But of course things start to go south when Carver(the guy who shot Ash) hides a shotgun and was discovered by Caesar's son. Things start to get really bad quickly when Koba questioned Caesar's loyalty because he seems to love humans too much.They fought and Koba lost of course..he seemed apologetic to Caesar but..that's not the case. He went to steal rifles,killed the two guards who were guarding all of the weapons in San Fran,kill Carver and many many more scary things.This was when the movie started to become very thrilling.Koba managed to convince the apes that the humans were bad and of course,a war started. Koba is just such a villain in this movie.It was very scary and enjoyable to watch at the same time.Definitely kept me at the edge of my seat.I even let out a tiny scream during one of the scenes and thankfully the sound in the cinema was very loud that nobody could hear it. 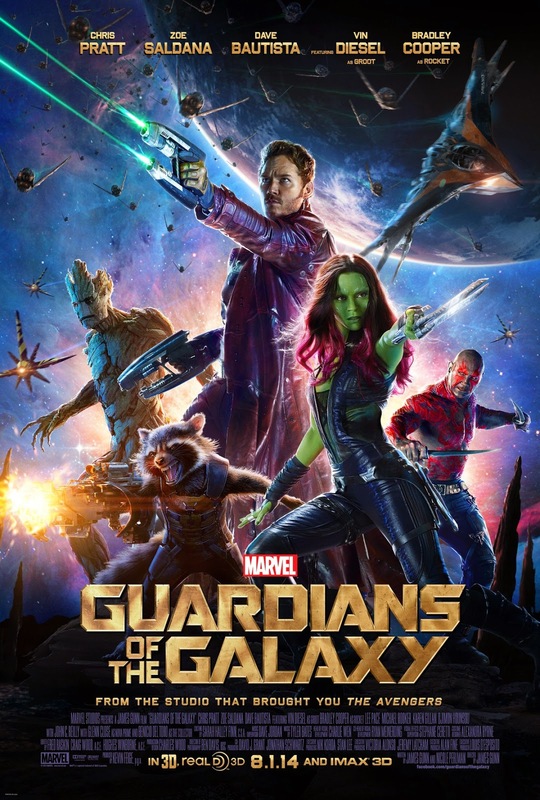 I've to say that this movie was better than Guardians of The Galaxy and I honestly didn't expect that.I actually watched Guardians first although it came out later than Apes.There are some scenes in the movie that will definitely tear you up!Yes..very unexpected!Definitely a must watch movie.